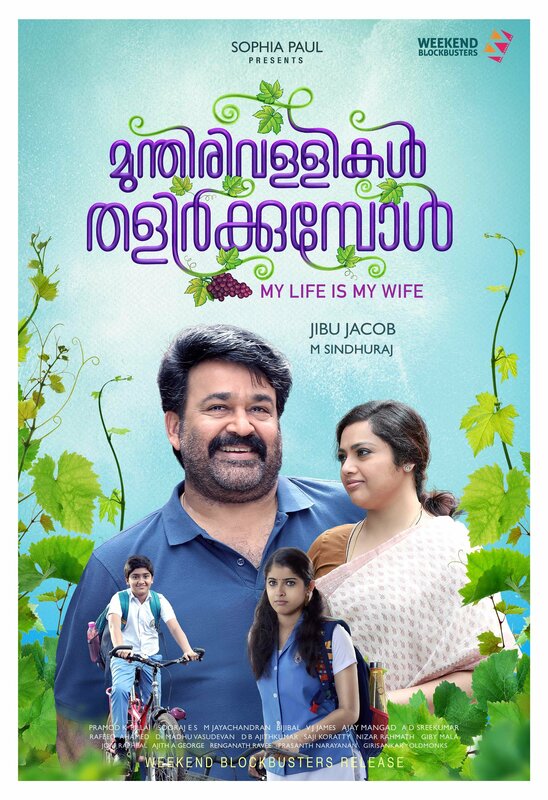 Mohanlal's Munthirivallikal Thalirkkumbol will be released at UAE on Feb 16th and on Feb 17th at Europe . The movie has crossed Rs.30 Cr collection from Kerala alone and the movie is the next big blockbuster after 'Oppam' and 'Pulimurgan'. It is the first blockbuster in Malayalam in the year 2017. Munthirivallikal Thalirkkumbol is a family entertainer which got wide acceptance and it is running successfully in 90 theaters across Kerala. The movie is produced by Sophia Paul under Weekend Blockbusters.